The holidays are a joyful but busy time of year. And for many people, shopping for gifts is the most stressful and time-consuming task of the season. 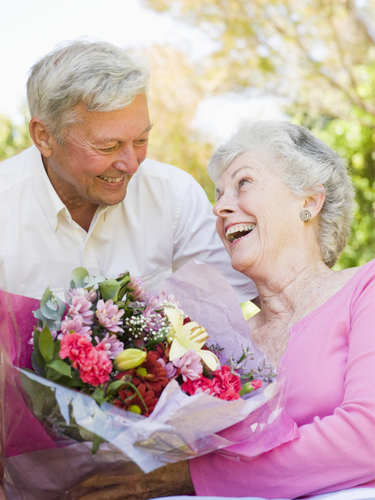 Finding the perfect gift for everyone on your list can be nearly impossible, but have you considered giving flowers? Bright, delicate blooms set bouquets apart from traditional presents. Here are just a few reasons why you should consider giving flowers this holiday season. Everyone has that one person on their list who’s almost impossible to shop for. For these people, flowers are the perfect solution. Nearly everyone appreciates the beauty of a colorful bouquet. Floral arrangements are especially great gifts for coworkers, bosses, teachers, mothers and grandmothers, and distant friends. Florists offer customizable bouquets in various styles and colors, and some even come in reusable vases or pots that can be enjoyed all year. Most florists offer online ordering, making it easy to browse for and purchase the perfect bouquet. Flowers don’t need wrapping, and you won’t have to stand in a long line at the post office, either. You’ll be able to choose when the arrangement is delivered, with many florists offering same-day or next-day delivery. A personalized note included with the blooms is the finishing touch that can convey your season’s greetings. The holiday season is a time to be with the one you love, and because flowers have long been recognized as a symbol of romance, they’re one of the best ways to show someone what they mean to you. Having a bouquet delivered to your loved one’s home or office is a happy surprise, and every time they look at the beautiful bouquet, they’ll be reminded of your thoughtfulness. Eliminate some of the stress this holiday season by ordering stunning flowers for your loved one. Madison Avenue Florist in New York, NY, is offering a wonderful selection of Christmas, Hanukkah, and seasonal bouquets of the freshest and best-quality flowers available. Whether you’re looking for an elegant arrangement for that special someone or flowers for a party host, they have something for everyone. Visit their website to view their selection, or call (212) 319-0242 to speak with a friendly representative.